The fiesta continues. 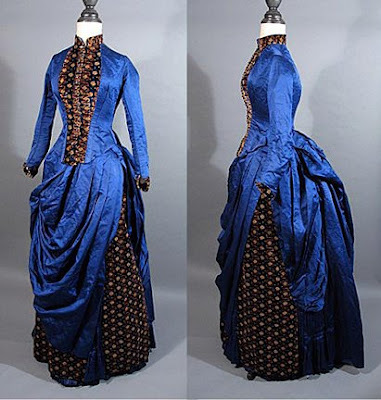 I had to save the 1880s bustles gown for a second post, because my mother told me too many sweet things would ruin my appetite. After the frothy wedding cakes of yesterday's post, I had to cleanse my palate with a day of non-vintage endeavours. Before I wander off to the mango and peach salsa, I leave you with a few quick pointers for telling 1870s and 1880 big bustles apart. 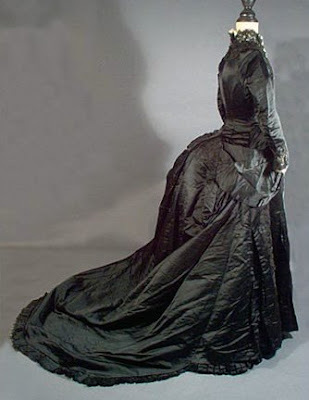 1880s more often darker and more substantial fabrics and colors, but not a hard ruke by any means. 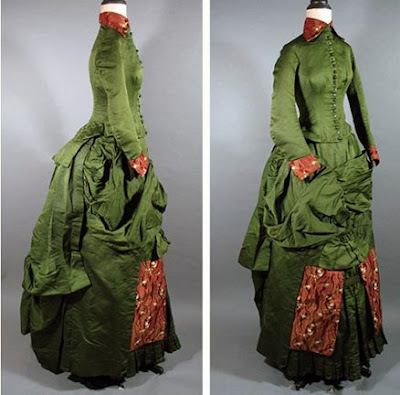 1880s skirts are a more tubular shape with attached draperies rather than separate overskirt. 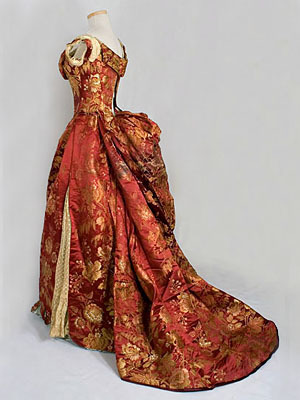 1880s bodices are longer waisted and more fitted over the hips. 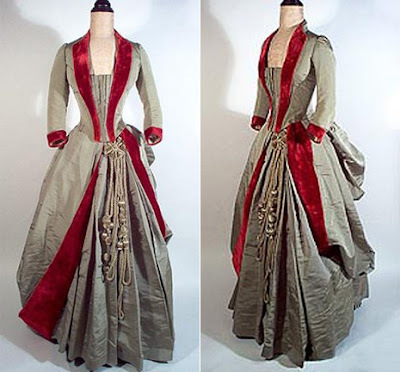 1880s dresses have a higher day neckline with a stand collar. These are general tendencies. There are exceptions everywhere. If you engrave this information in granite in your brain tissues, you are being way too rigid. Especially for a fiesta. Now you are prepared. Go forth and hunt the massive, yet graceful, bustle.